We recognize that newer entrepreneurs can sometimes use a hand up! Our mission with this scholarship program is to transform the way women do business through collaboration and community. This program is designed to give each selected woman-owned business a chance to thrive while cultivating future female business leaders in our community. *New in business? You may qualify to apply for a scholarship to participate in our 6-Month Female Entrepreneur program. Click here to download the Scholarship Application packet. Applications due 5/31/19 for the Jul-Dec 2019 program. Entrepreneurship is not for the weak! It will take clarity, confidence, courage and commitment to create a successful, sustainable business. And, as you will learn through this book, success doesn’t always happen with your first business. 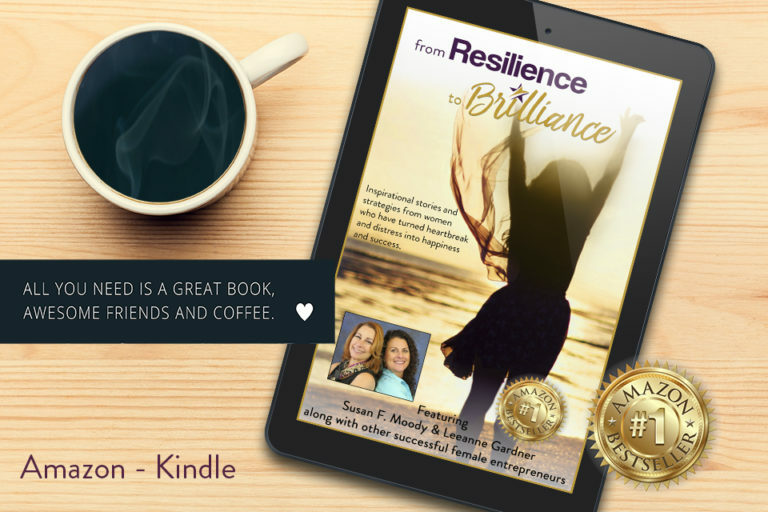 The women in this book have come forward to share with you a part of their entrepreneurial journey. Get over 40 practical tips and examples from these female entrepreneurs of how they moved from heartbreak and distress to happiness and success. Each chapter leaves you with powerful takeaways to act on immediately. Self-help from women who helped themselves, this book will inspire you to find the courage to take entrepreneurial action. Available in Paperback and Kindle format. 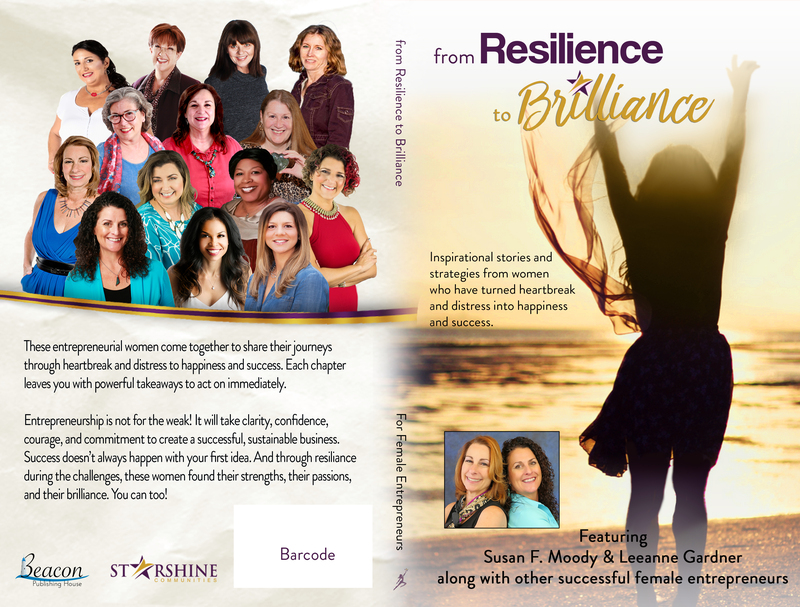 A portion of the proceeds from all book sales are donated to the Reach for the STARs female entrepreneur scholarship program, a fiscally sponsored project of Silver Lining Riding 501c3, professionally managed by Starshine Communities, Inc. - an Arizona Benefit Corporation. CLICK HERE TO PURCHASE ON AMAZON AND SUPPORT A FEMALE ENTREPRENEUR! ** Want to support female entrepreneurship? 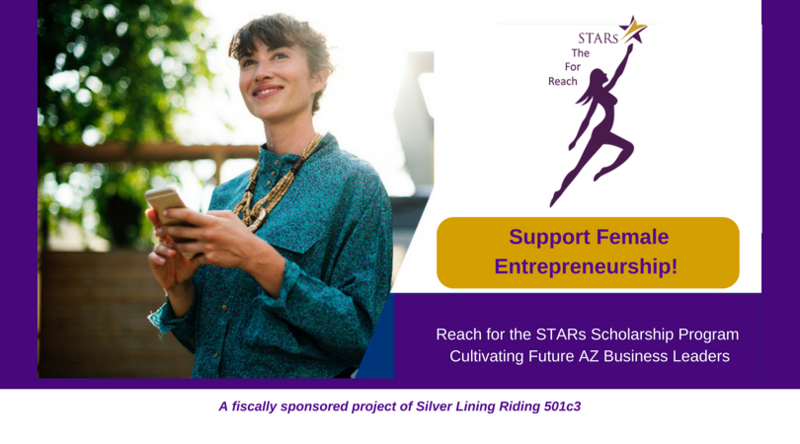 Reach for the STARs is a fiscally sponsored project of Silver Lining Riding 501c3. To make a tax deductible donation, click on the DONATE button below. As an added bonus, your donation qualifies for the Arizona Tax Credit up to $800 for joint-filing and $400 for singles.